The idea of participatory democracy pertains to involvement of the civil society – think tanks, activist organisations and other actors – at all levels of policy cycles, via employment of instruments such as debates, expert consultations, participation in working and advisory bodies and others. Its goal is to enable the inclusion of non-governmental actors in development and implementation of governmental policies, and its logic is based on the premise that the policies and the decisions made with participation of the representatives of various interest groups and non-governmental experts render the social consensus necessary for continuity and sustainability of policies in any sphere of life. In this way, the participation of citizens in part addresses the shortcomings of the representative democracy which limits the role of the citizens to intermittent voting. 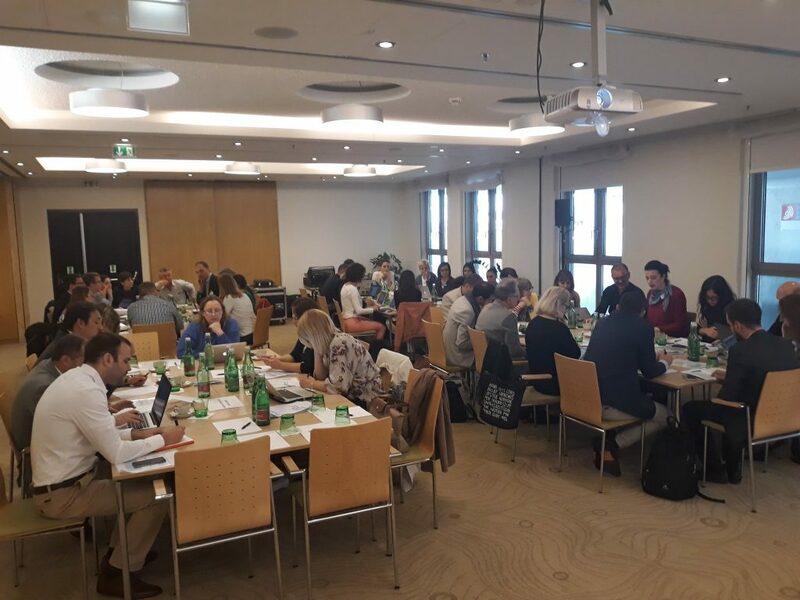 The practice of inclusion of think tanks and activist organisations in what is traditionally viewed as “the business of the state” is slowly taking off in the Western Balkans, at both local and national levels. It requires, on the one hand, that the capacities of activist organisations, think tanks, business associations, trade unions and other potential non-governmental participants are sufficiently developed to clearly formulate their policy proposals and interventions, and advocate for their adoption. On the other hand, civic participation requires that the public servants and government officials recognise its benefits enough to step out of traditional behaviour patterns and actively seek the non-governmental contribution. Given the traditionalist political culture in the region, the constraints of the resources of the Western Balkans central and local public administrations and the relative novelty of the concept of civic participation, in the absence of unambiguous legal obligation, it is up to the civil sector to ensure its own inclusion in the policy processes and the actual impact of its contributions. The situation is even more complex at the level of the region. Aside from the bilateral relations, the regional processes are given the essence by more than 70 various regional initiatives and cooperation mechanisms: the EU-boosted regional organisations for political and technical cooperation (such as the Regional Cooperation Council – RCC, the Central European Free Trade Agreement – CEFTA, the Energy Community, the Transport Observatory and others); then, the organisations which have emerged from the need to establish and regulate cooperation in certain fields (such as the Network of Associations of Local Authorities in South Eastern Europe – NALAS, the Regional Rural Development Standing Working Group – SWG, the Migration, Asylum and Refugees Regional Initiative – MARRI etc. ); and finally, the Berlin Process, as the initiative of six EU countries, with EU, regional organisations and international financial institutions as participants – an approach complementing the Stabilisation and Accession Process and focusing entirely on the regional aspect. This plethora of regional organisations, initiatives and processes gives shape to the joint political responses to issues of relevance to the citizens of the Western Balkan countries and thus defines the framework for convergence of national policies in many areas. In an indirect way, they define the regional policies in their respective areas. However, the “points of entrance” for think-tankers, activists and other civil society actors to these regionally-relevant fora are rare and highly dependent on particular organisational policies and the initiative of the employees of the particular organisations. In result, the inclusion of the civil society of the Western Balkans in the regional processes is sporadic and mainly limited to provision of occasional, solicited expert inputs. This is a shame, considering that a broader social consensus, which is generated through civic participation, would contribute to lasting security, and economic and social cooperation in the post-conflict region of the Western Balkans. This perception is one of the drivers of the Civil Society Forum of the Western Balkans (CSF). Building on the commitment of the Berlin Process creators to include the civil society organisations in this initiative, this platform was set up in 2015 and today it gathers around 250 think tanks, activist organisations, educational and cultural institutions, business associations and others. Its role is to ensure the impact of the civil society of the Western Balkans on decisions brought within the Berlin process – related to the topics of the yearly summits defined by host-countries, and also to place other issues in focus as participants deem regionally relevant – such as the rule of law, media freedom, migrations, green topics and others. To this end, this year the Civil Society Forum of the Western Balkans prepared a new policy product – CSF Policy Briefs – on the topics that will be on the agenda of the London Summit – gender, security, economic stability and legacy issues – singling out the key problematic areas and compiling the related expertise of the most prominent think tanks in the Western Balkans. The process of preparation of these publications was public and open to all the contributors who wished to take part, via an on-line consultation tool. These CSF Policy Briefs were communicated to the Foreign and Commonwealth Office representatives in charge of the London Summit at the meeting in Vienna in late April and will be included as materials used in the preparations of the Summit. Moreover, the Civil Society Forum Working Groups’ Meeting took place shortly after. In the meeting, based on the evidence presented in the four CSF Policy Briefs, about 50 topical civil society experts and practitioners defined policy recommendations on the four topics, which will be advocated for in the run up to the London Summit. Although the Civil Society Forum was created in the course of the Berlin Process, it outgrew the Process in view of the topics it deals with, and in view of the potential for civil society impact on regional processes that has been generated through its activities. Over the course of past several years, the yearly CSF workshops, debates and consultations and interim gatherings raised numerous regionally relevant issues and inspired regional projects. More recently, the CSF’s policy products managed to “harvest” and compile the expertise from think tankers and practitioners region-wide and streamline them to policy “diagnoses” and proposals dealing with the regional processes. Over the years the Civil Society Forum has managed to crack open the doors of regionally-relevant political processes and establish the channels for civil society impact. This is why the future work of the Civil Society Forum will extend beyond the Berlin Process and address all other fora where policies with regional impact are being created and implemented. This endeavour will, hopefully, also outgrow the Civil Society Forum and contribute to overall change of the prevailing political culture towards more democratic and more inclusive policy-making at the regional level. Op-ed by Ana Marjanovic Rudan, Programme advisor at the European Fund for the Balkans and Policy consultant at Praxis Development.